I saw this in the Lego aisle at Target and wondered if someone has adapted their sets into Lego builds. has anyone here done so? Remade in Lego, probably. Adapted into Lego, NEVER! ^Thank you. ", @allbrick. That is what I meant. I have been wondering about this as well, and might actually do it myself. The first wave looked great, and the second wave is going to be released soon with Hellboy, T-800 Terminator, Kevin and an Evil Minion from Despicable Me, Worf from Star Trek, and a Destiny Hunter. They also had some Comic Con Specials with TMNT characters. They are very popular with collectors and are fun to build. I think their bodies could be rebuild from LEGO without much difficulty as they are common pieces. The eyes however are unique and a quite interesting piece that can be rotated inside the head. Also some of the accessories are made of unique elements LEGO doesn't have, but I think they could be reasonably rebuilt using LEGO. Definitely reminding me of Cube Dudes for sure! I could see myself imitating these with my Lego collection sometime. 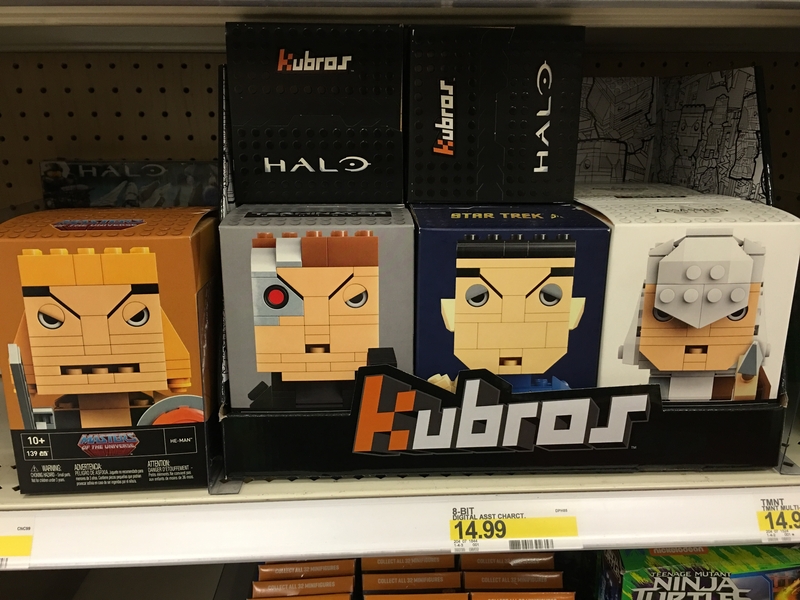 Quick question - is Kubros its own clone brand company or is it a branch of another company? I couldn't quite figure that out from the conversation here. EDIT: Well after ten minutes of wallowing through the darkness they call the Mega Bloks website, I found that Kubros actually is Mega Bloks. My bad, sorry about that. But I did see that Master Chief and I know a friend who would love it if I built it out of Lego. So I will definitely be imitating that for sure!